And like that the 2019 racing season has started. We have been very busy over the last couple of weeks, preparing the karts for the season. 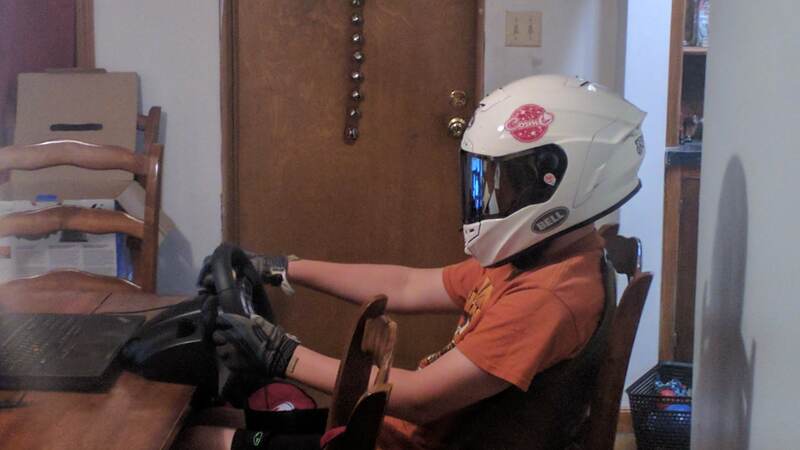 The sprint kart has been getting the most focus. We have been tearing it down and building it back up. On the road side, the his animal are out for some refreshment at 4 Cycle Central. Jason got this years first track time for some warm up laps and a shakedown of his Coyote Wide Track. As usual this happens at Concept Haulers Motor Speedway, which will also be the site of the seasons first two races. We have been working in the garage for the last few weeks waiting for the right weather. It works pretty well but yet ready to set any records, some tuning is going to be needed and them some more track time and tuning to get it just right. 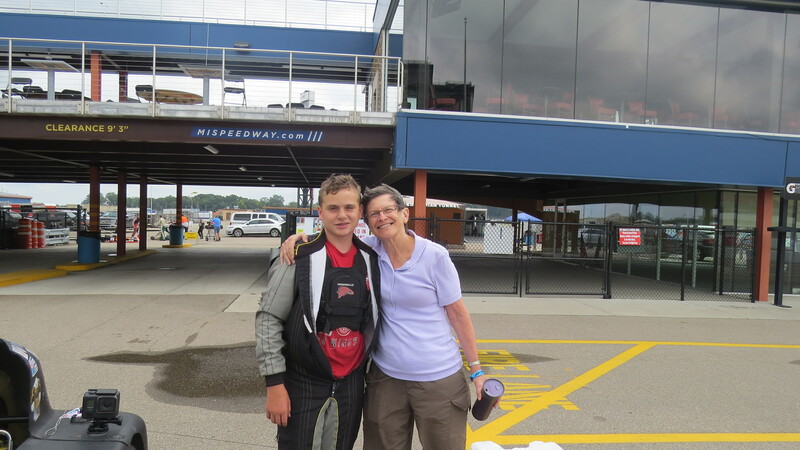 The next day he attended the Youth Races Show at the Southeastern Wisconsin Short Track Hall of Fame in Hartford, WI. Because all his Animals where away we had to borrow a prop motor for the show, Thanks Holtz Racing!. 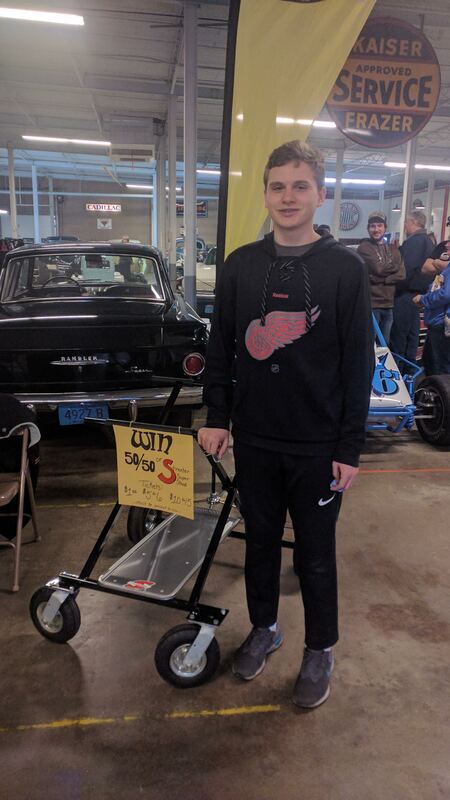 While there he met NASCAR Xfinity Driver Josh Bilicki, a former Badger Kart Club karter He also won a Street Super Stand, something we also needed as the one man stand was showing signs of failure. Thanks Joe Palmisano for putting this unique show on. Thanks to our 2019 Partners for their continuing support we could not have done this with out you. Know someone that wants to support racing, see our partnership page for more information. 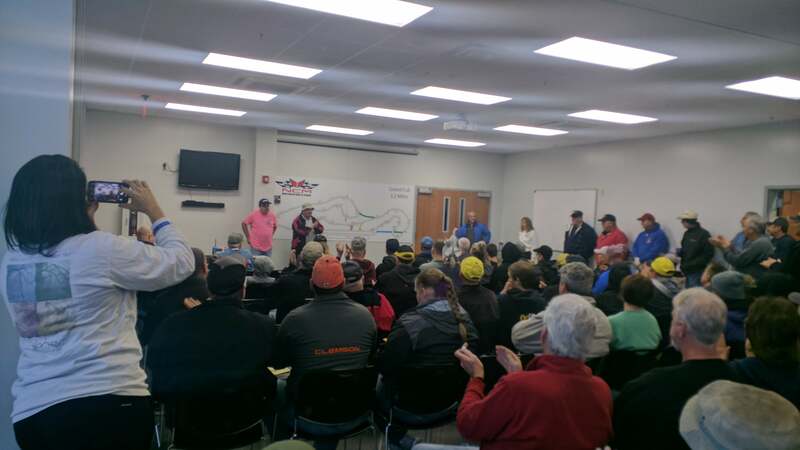 Wild Duck Racing has another busy season of racing planned for 2019. Jason will be returning to the Championship Enduro Series(CES) for the full season road racing. 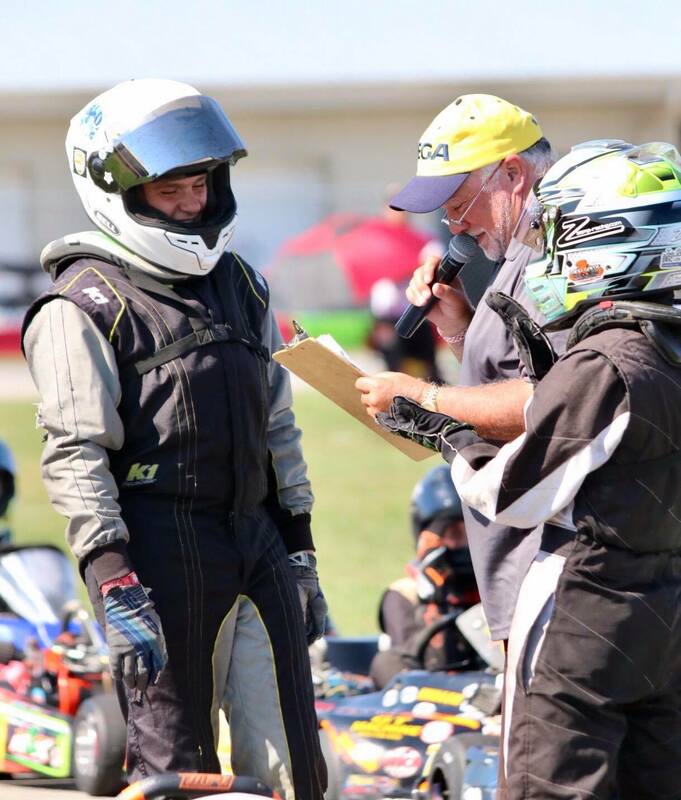 He will be adding some Dart Kart Club(DART) and World Karting Association(WKA) races. 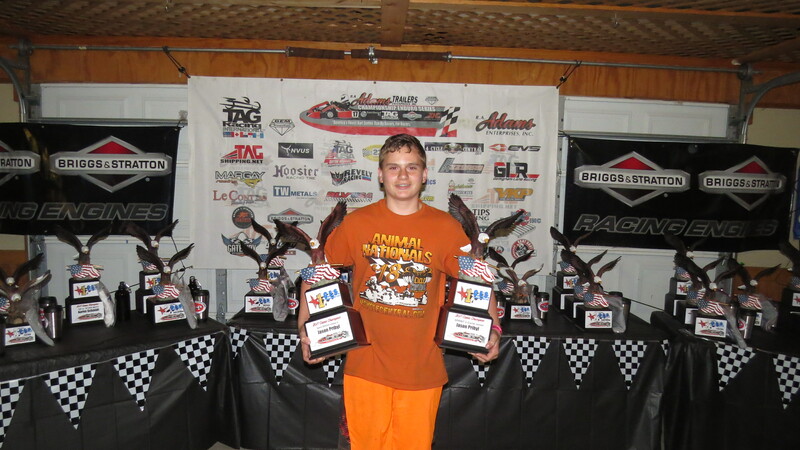 He will also be sprint racing with Cup Karts of North America Championship(CKNA). Expect to see Jason at a couple of club races for tune ups and just having fun racing. This year’s stretch goal will be attend Lucas Oil School of Racing in a modified Ray Formula GR11 car. You can find and subscribe to the schedule on google calendar by searching for “Wild Duck Racing” or follow this Calendar Link. Here it is, the first of February, its still too cold and frozen to hit the track for some practice days, and race day is months away. Thanks to InTech Trailers and RacingJunk.com we now have something to take the edge off parked kart syndrome. 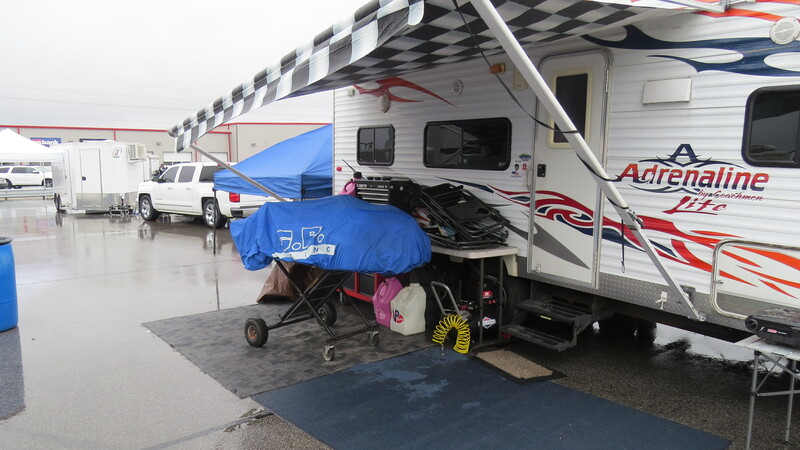 You can plan out your dream race trailer from InTech Trailers and then find something racy to fill it with at RacingJunk.com. You can even find parts and service vehicles there too. Now for the part were Jason needs your help, race over the InTech Trailer Max The Tach voting pages and vote for Jason. This is the first round of the voting for the top 25 teams. For the last two years Jason has made the top 25 and then the top 10. Lets see if we can get him all the way to the top 5 and on to number one. Please follow the link and vote there are only 5 days of voting in the first round and your vote really helps. To Vote click on the banner below and select type Pribyl in the search box to find Jason, enter your email address, click submit and we are off to the races. Don’t forget to share this with your friends and family. THANKS! Here are the videos we made for the MaxTheTach top 10 for 2018 and 2017. Thanks to our 2019 Partners for their continuing support we could not have done this with out you. 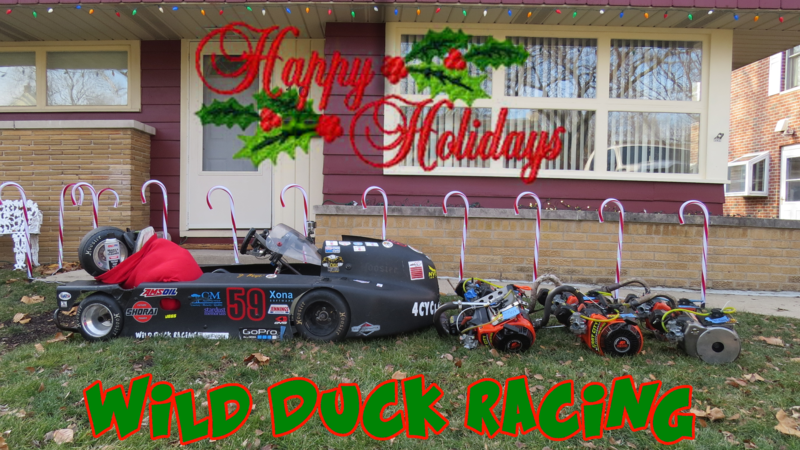 Wishing you and yours a Happy Holidays from Wild Duck Racing. We have some exciting news, Jason was recently interviewed on ‘Inside the Garage with Andrew Kurland’. Andrew is a up and coming NASCAR journalist and member of the Acceleration Nation(A NASCAR Media site) reporting team. Jason’s segment is slotted amongst some of the greatest drivers in NASCAR. Have a listen and share this and help build our fan base. Here is a link direct to Jason’s Interview, though his introduction is cut off. Thanks to our 2018 Partners for their continuing support we could not have done this with out you. Road Racing was another matter altogether, it’s was a complicated season. The easiest class to deal with is the Dart 4 Cycle Junior class. Jason ran unopposed in the class in his Animal Powered sprint kart. He put in laps with the karts on the track and had some great races, the favorite was at Mid-Ohio with a Senior Super Heavy where they battled till last lap when the other driver was beset by complete chassis failure(Sorry Keith). Sprint Junior at both Dart and CES, Jason had some great competition. The CES races he won handily but at the Dart races the winner was determined by who could field a consistent and reliable kart. Jason won CES with Sprint Junior by a large margin, however, a single point margin determined his victory in the Dart series. This was a long season with many weekends on the road. The team had many hardships fighting heat, cold, mechanical issues, and shaking the cobwebs out of the sprint driver but Jason remained positive thorough out. It was definitely a season with many great memories. We are looking forward to what 2019 has in store for Jason. The weekend of November 9th was the final race of the 2018 Season for the team. 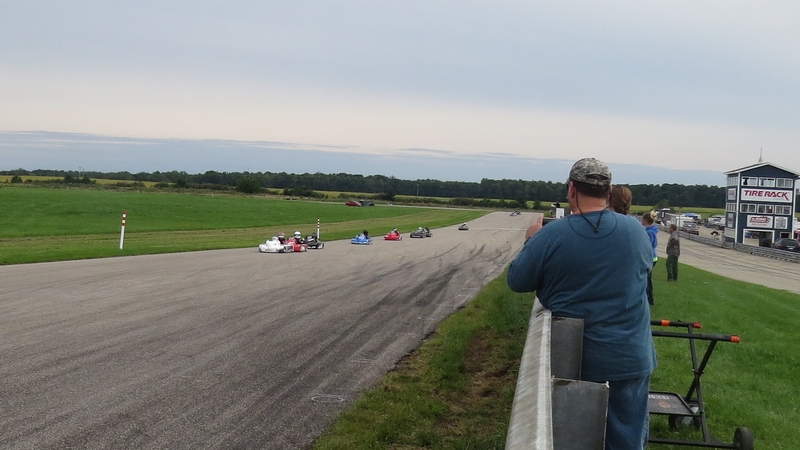 The WKA/KART-MARRS Road Racing Grand Nationals was held at the National Corvette Museum Motorsports Park in Bowling Green, KY. This was a first race at this track and with the World Karting Association and with this years success in road racing our confidence was high. However, we still needed to keep honest with ourselves. we still have a load to pull for more wins and anything could happen. On the upside, we did not have any pressure from a series stand point, so really the plan for the weekend was to have fun. Part of the fun was leaving Wednesday night with the plan to arrive Thursday and visit the corvette museum. Before that the first stopping point was Indianapolis and spend some time with some of the Xona Software team, providers of automation software and sponsor for some personal thanks for supporting the team. Thanks! Dave and Mike. Then off to Walmart for a cold night. The weather for the weekend was expected to be very cold, below freezing over night and low 40 for most of the day, in the 50s by Sunday. The worst weather looks to be on Friday with some morning rain, at least snow was not expected. After a stop for some extra propane to heat the trailer, Thursday morning, we drove on to Bowling Green, KY to the National Corvette Museum. We last visited the museum a few weeks after the sinkhole had opened up and swallowed a few of the rarest cars the museum had. Jason was very excited to see the all of the Corvettes but now with the eye that appreciated a finely crafted racing machine. The new exhibit for the sinkhole story was great but also really sad because they could only restore 3 of the cars the rest were too badly damaged or were so unique that the parts are unavailable and it was better to retain the cars history. 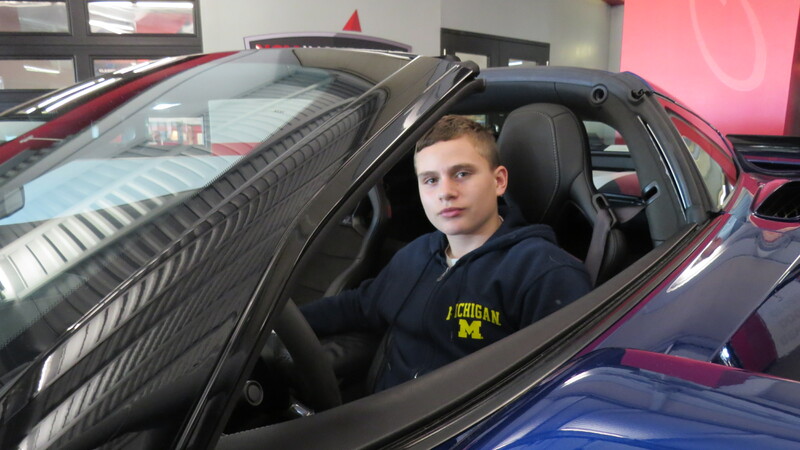 Jason even got a turn in the race corvette simulator, which he of coursed grinned through. Friday morning brought the first of the weather tests for the weekend, it was raining. Thankfully, it let up around noon and we were able to take to the track for a few hours and learn and tune. Jason started around a 1:55 and by the end of the night was down to a low 1:53. 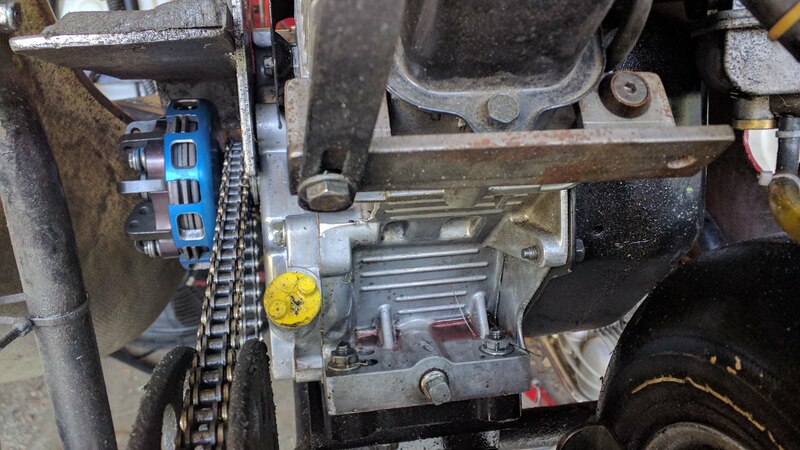 The day was not with out challenge, we had to replace the motor due another blown gasket, the good news is the new motor was fresh and strong. We did do some scoping out of the other drivers and Jason seemed faster but race day can be another animal when it comes to speed. After practice we went out to dinner with some other drivers including Mid-Life Karting Crisis host and Wild Duck Racing supporter T.J. Hollingsworth. This was great change of pace for us and had a blast swapping stories. The weekend was cold. Cold is good for the motor give us a little more horse power but hard to use that power because the tires and track are hard and slippy. We adjusted the kart and Jason put painters tape on his gloves in an attempt to block the icy wind. The feels like temperature at 70 mph is always colder just like a blustery day. The days schedule was compressed because of the cold and Jason’s race was moved to the second of the day. He started on the pole for his class and would be taking the 4th of 5 starting flags to add to stress of the start. At the drop of the flag he was off and #110 managed to pull in front but Jason was ready and took the lead in the first corner. #110 dropped back and Jason was pursed by #71 who was a few seconds behind. Jason pushed on for the 25 minute race and didn’t give any ground running fast and clean. Still in the lead he in the closing laps he extended his gap and sealed the win at the checked flag. We wrapped up the day with some quality time in the trailer keeping warm and discussing possible kart changes for Sundays race. Sunday started cold but warmed nicely by race time. We decided to change the rear gearing for a bit more power on exits and adjust the front end to find some more grip. Since is was so cold during practice his lap times were low but did show improvement with the changes. His race was moved to the first of the day and he started on the 2nd flag. Again on the poll, he had a great start but the #110 kart jumped to the lead and pulled away until the 5th corner where Jason made up ground thought the technical part of the track eventually making the pass a few corners into the lap. As they came down the front straight, #110 caught and passed Jason just before turn one but well past the start finish line, this was a good omen for a win. This repeated until Jason made a single move to block the #110 pass, but the next lap #110 passed on the other side. 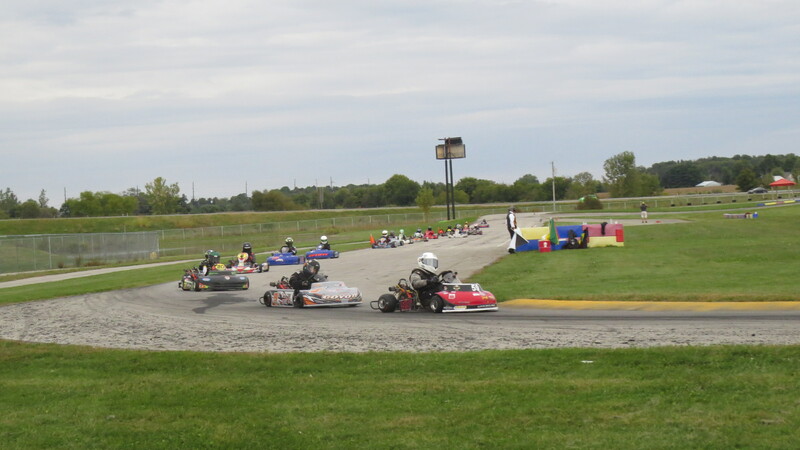 Jason remained behind for 2 laps but close until he passed #110 as their kart succumbed to mechanical issues. At that point Jason was able to continue on completing the final two laps cleanly winning again. See Speed Hive Results for lap times other interesting statistics. Stay tuned for the karitng silly season and we wait for the 2019 schedules to come out. Thanks, to my Dad who would have loved this trip so we took extra enjoyment in his memory. Dave and Mike at Xona Software for a great product and supporting us. T.J. at Mid Life Karting Crisis for the videos, Amsoil, and Hoosier Tires. Reagan at 4 Cycle Central for some powerful and consistent Briggs Animal motors. My dad told me a story about a turbine power race car in the Indy 500. Legend has it that the car was amazingly fast. The day of the race the weather was just right for it to perform at the maximum horsepower The team was expected to dominate the race. It led most of the race until the last few laps when a $6 dollar bearing in the engine failed and the car retired just short of the goal. I heard this story more than 20 years ago and it was a setup for my son and I learning this lesson first hand. You can put in all the time and prep for a race and even be the fasted car out there but there are going to be things you can’t control that are going to spoil your plans. Check out the story of the Lotus 56 in the 1968 Indy 500. October 13th Jason, myself, and Holtz Racing(Crew Chris and Driver Will) met at Road America kart track for their annual 2 hour endurance race. I had spent the last week in the garage with Jason getting the sprint kart configured for sprint racing with the animal. We had high expectations of getting the over all win with a fast kart and a sound pit stop strategy. Jason took the kart out first for a 10 lap shake down. The gearing was off but the kart looked good. I did see what looked like dirt coming from back of the kart and might have spied a line getting put down on the track as he drove through a corner. He pulled off and we readied to switch drivers. Jason hopped out and started to look at the motor and pointed at the very slick rear tire, there was an oil leak. Chris and I pulled the motor off looked for leaks, drained the oil(looked OK) put it back on, refilled it, changed the gear and put Will in. He put two laps in and came off because the fuel tank cap came off and was spilling methanol on him. As he stepped out the motor was pouring oil and that was that for the day. Further investigation revealed that the side cover gasket let go. We packed up and the Team Holtz left on the way to celebrate a birthday(Happy 14th Birthday Will). Jason and I headed home for him to suit up for some Hockey practice and team pictures. 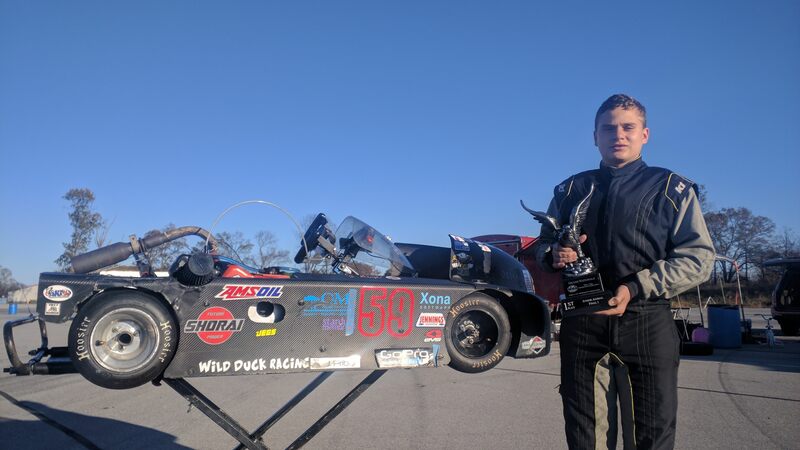 The sprint season is definitely over now, there is still the WKA Road Racing Grand Nationals at the National Corvette Museum Motorsports Park in just few weeks. In the meantime we are working on 2019 season plans, seeking new partnerships, and will be working out and practicing at local indoor tracks and simulation. 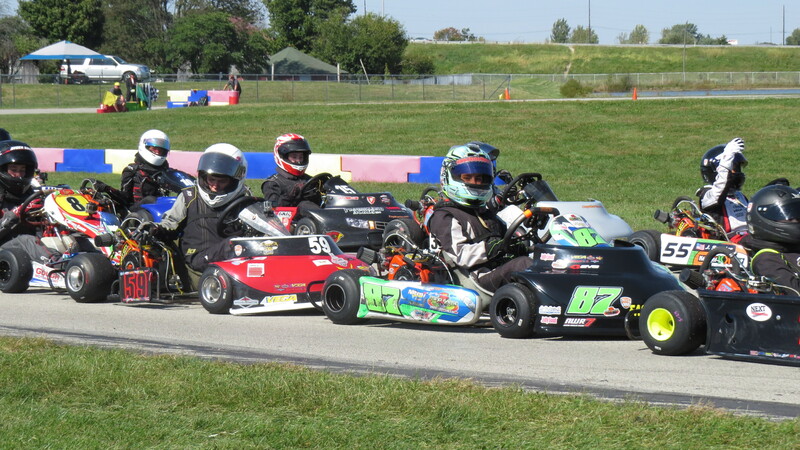 We capped the 2018 sprint kart racing season with a national level race the weekend of September 28th 2018 at New Castle Motorsports Park in New Castle Indiana for the Cup Karts Of North America Grand Nationals. 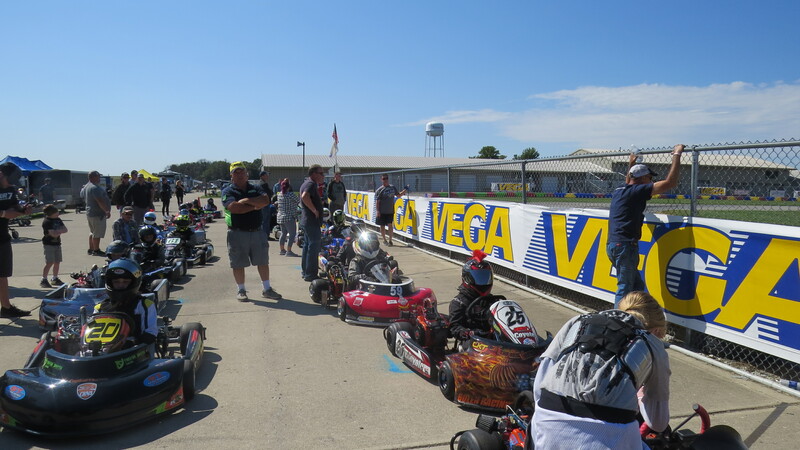 The CNKA Grand Nationals brought dedicated and skilled drivers from all over the US and Canada. 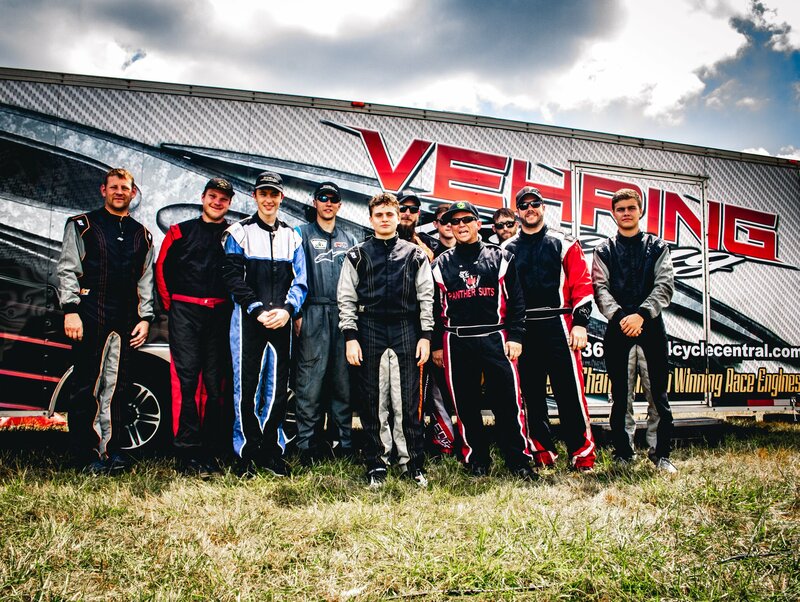 New Castle Motorsports Park is a world renowned track that challenges any driver with long fast straights and technical corners. Precision and focus from both driver and crew is required reach peak performance at the end of three days in the final race. At most races by the Sunday final we had things in some sort of order to race the top 5, however, for this race we are aiming for top 10 due to field size, competition, and the need to learn a new track. We still wanted to focus on having a relaxed and fun weekend of determined racing. Jason has never been to New Castle before and he needed to be a quick study to hit his marks. We spent Thursday night at a local Walmart sleeping on the trailer floor, we missed the 7pm arrival dead line, sigh. Friday morning we unpacked the trailer for 5 rounds practice. Jason’s day started with just walking the track to get a feel for the racing line and and track conditions. 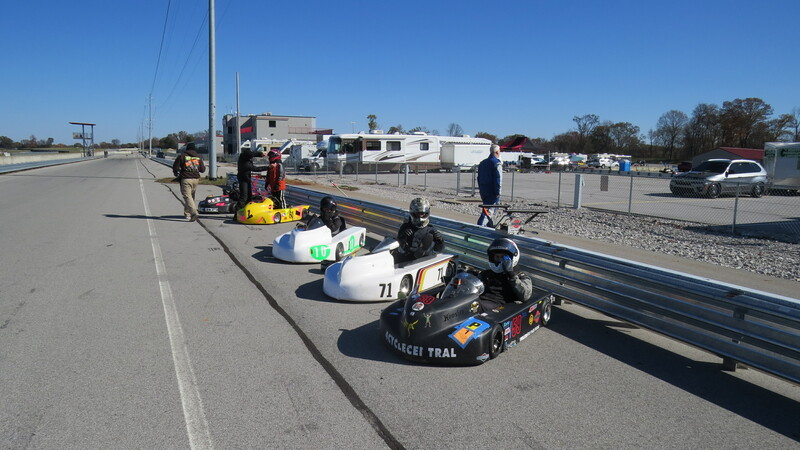 The first session was primarily focused on learning the track and getting some initial validation of the work in the garage setting up the kart. As it turned out we had setup nearly right and as the day progressed we only made minor adjustments. Jason got faster every session as he acquired a better track sense and we both scouted the competition. At the end of the day he was just a bit off pace from the lead pack but a top 10 finish seemed in sight. Unlike most race weekends where Saturday is a two to three practice rounds, qualifying, two short heats and a feature, the day would be one pre-qualifying warm up, a qualifying session, followed by three 8 lap heats. The total points from the heats(link to scoring) would set the grid for Sunday’s pre-final. In the pre-qualifying warm up Jason got stuck behind some slower traffic and was not able to get any open laps and his qualifying start position behind much slower karts which he quickly caught. They were supposed to yield position to faster karts with a tap from behind but this driver instead ‘raced for position’, Jason was able to eventually make the pass but did not have enough remaining laps to get up to full speed. Despite this he still managed to qualify 11th and knew he could make short work of a couple of karts in front of him in each of the three heats. He was crashed out of the first heat on the first lap when another driver went wide and the group scrambled to clear, finished 28th. The second heat went much better, Jason made quick work of 10th and then 9th in the first lap and held them off for the rest of the race. In heat 3 Jason put on a great display of his driving prowess starting 11th and jumped up to 8th in the first lap but as he moved for 7th and was forced wide and shuffled back to 10th in the second lap. Over the next six laps Jason battled back up to 8th but fell to 9th in the closing lap. His hard work and recovery put him on the grid at 13th for the pre-final on Sunday despite the poor first heat. The Sunday morning warm up Jason put the kart though it paces and found it was better than Saturday. Most of the days setup discussion was about what tire pressure to run in the longer races and as the day warmed. The kart tends to get really tight after about 7 laps and we have been working on finding the right pressure to go fast for the 12 pre-final and 16 lap final. 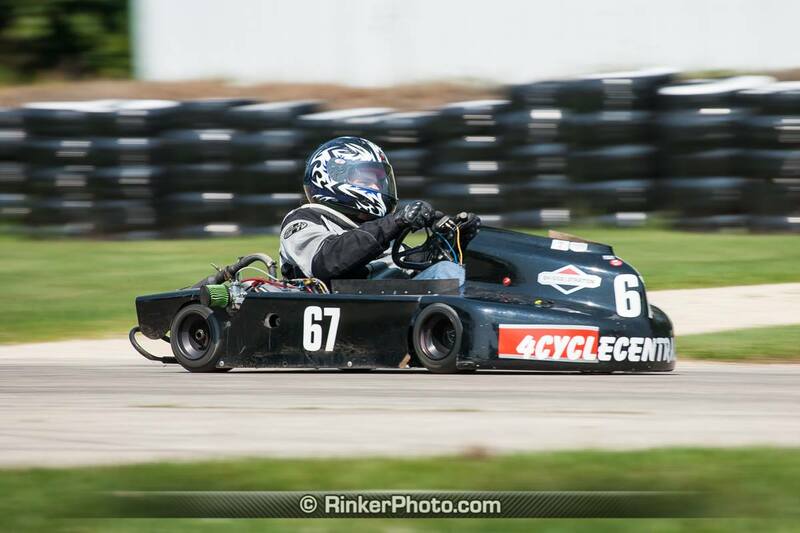 Lower tire pressure makes the kart loose and the tires are slower to warm up. 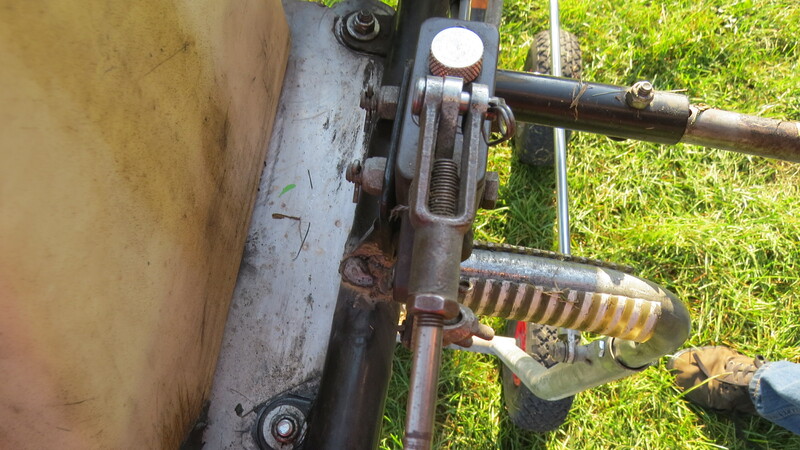 At higher pressures the kart comes in faster but becomes tight sticky as the continue to heat. Jason started the pre-final in 13th and at the end of the first lap was up to 12th then picked up 2 sports for 10th by the end of the second lap. Over the next couple of laps fell down to 12th then 13th. He pushed hard and through moving for the openings and some luck he moved up to 10th and was battling with 8th and 9th. As the lap closed he changed focus to defending his position and finished 10th. The final race of the weekend started with the pomp and circumstance of a professional race. First there was a parade lap followed by driver introductions and mini interviews. Of course Jason, having been with the series for sometime and a character was giving a loud “Number 59 ‘Racin’ Jason Pribyl” introduction. The race got off to a rough start with a kart in the back field getting hooked up and rolling over as they exited turn one bringing out the red flag. The driver was OK but his day was over and the field was reset for another attempt. This time they got off with out issue and Jason again picked up a spot for 9th in turn one and then two more up to 7th in the second lap. As they battled Jason again was shuffled down to 12th and started to work his way back up again. Lap 4, back to 11th, lap 7 to 10, lap 8 to 9th. Then in lap 9 while moving up to 8th the rear right wheel studs broke and the rear wheel flopped around as he slid off the track into the grass ending the race for him. He enjoyed a great seat as the last 7 laps ticked down without him. In the end he finished 24th of 29, despite that we both had a great time working together. We even had a good laugh on the way back from the tech barn about him driving the kart until it broke. I really want to thank our family for support this silly think called kart racing. To the folks thank make our karts go Jim Lipari at Coyote Motorsports , Rob at Kart City Performance , Brian Jacobson at Viking Kart Products. None of this would have been possible with out your support and assistance.